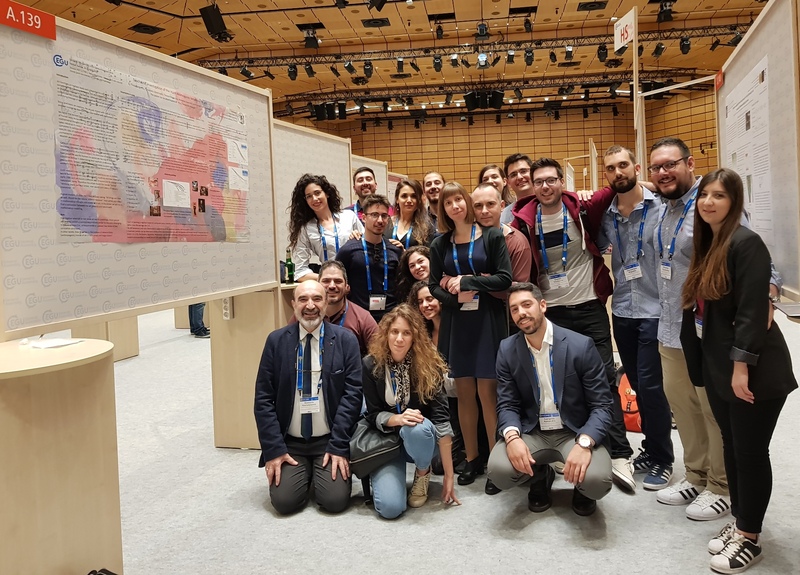 The General Assembly of the European Geosciences Union (EGU 2017) took place in Vienna in the week of 8-13 April 2018 with 15 000 delegates from 106 countries and 17 300 presentations. Undergraduate and postgraduate students, and teachers from the School of Civil Engineering (30 scientists in total) presented about 50 papers (oral or poster). The students made a good impression on the international audience of the conference, highlighting the high level of studies, research and student-teacher collaboration at our School. At the same time, they were also rewarded with their participation in the international scientific process, the acquaintance with the world's leading protagonists, and the recognition of their work. The School congratulates its students for their diligence and their successful presentations, which are an advertisement of the School, and wishes them to keep up the good work. At the same time, it regrets that it was unable to support them financially, which would have been unthinkable for the other 105 participating countries. School's delegates in front of their poster presentations. 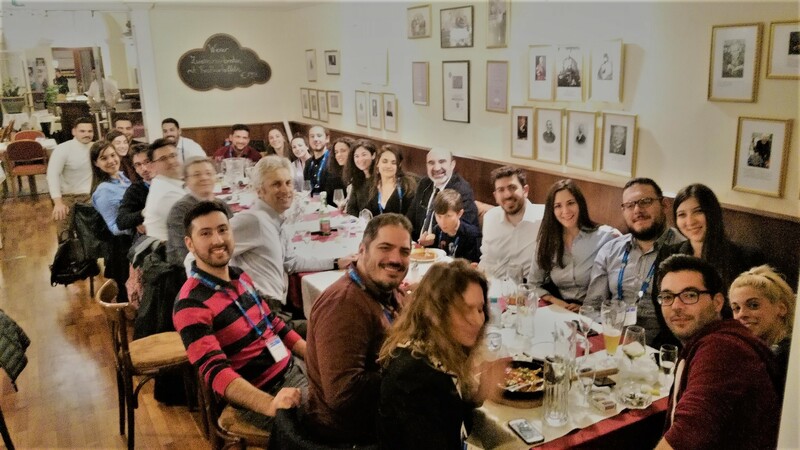 The traditional dinner of the School's delegation, after the end of the conference, at the Cafe Vienne (a historic restaurant that dates back to 1839 with a former name of Zum Griechen - For Greeks). The dinner was also honoured by the attendance of the newly elected President of EGU Professor Alberto Montanari (Darcy Medal 2018, fourth on the left side of the table), as well as Professor Pierluigi Claps of the Politecnico di Torino (fifth on the same side) and the doctoral candidate Alonso Pizarro from Chile who remained in the School for eight months in the course of his dissertation (third on the same side). 1 year ago. 14:40:00, 15-4-2018.